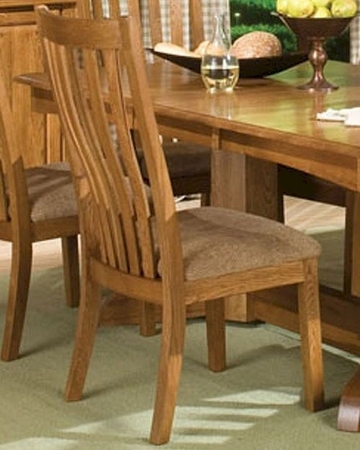 Intercon Solid Oak Side Chair Highland Park INHPN460 (Set of 2). 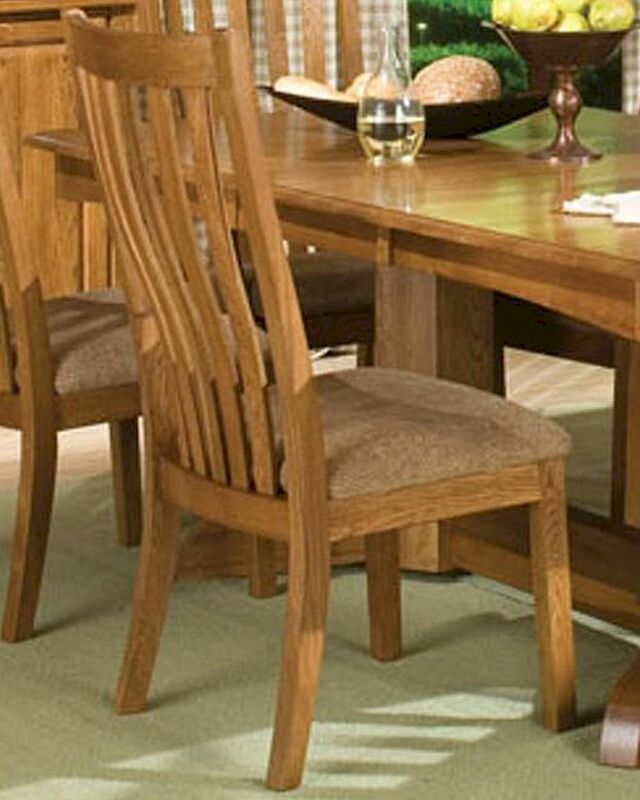 The Highland Park Slat Back Side Chairs From Intercon Is Made From Solid Oak And Finished In Classic Rustic Oak. 2 x Slat Back Side Chair IN-HP-CH-N460-RUS-RTA. Side Chair - 21"W x 18"D x 42"H.
Collection constructed from solid oak and oak veneer. Ergonomically designed chair backs and seats for comfort. Matching cushion seat available in tan khaki fabric only.